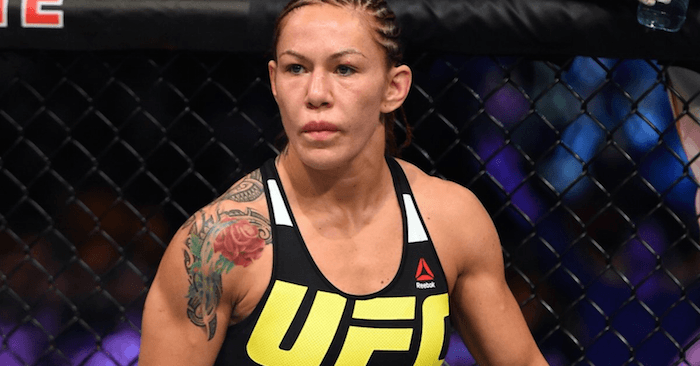 Candidly talking at her training headquarters in Costa Mesa California, UFC featherweight champion Cris Cyborg discusses how much she weighs on a typical fight night. As champion, Cyborg must hit the exact 145 pound mark on the scales, but she doesn’t stay there for long. Now, in a new video we know just how much Cris Cyborg weighed when she faced off with former UFC bantamweight champion Holly Holm, and she was a welterweight. In the video below, Cyborg reveals that she weighed 168 pounds on fight night. This means she gained 23 pounds in 24 hours for her latest championship fight. Nick Diaz Spotted With USADA At UFC Performance Institute, Says He’s Back!